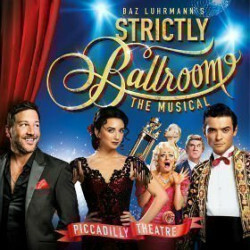 Baz Luhrmann’s 1992 cult hit Strictly Ballroom was based on a stage production that Luhrmann wrote while in theatre school in 1984. It marks the first in his trademark Red Curtain Trilogy, works filmed in Luhrmann’s trademark pastiche, motif style and is still one of the highest grossing films in Australian history. The other two films, Romeo & Juliet and Moulin Rouge, are equally well-known and successful in their own right. 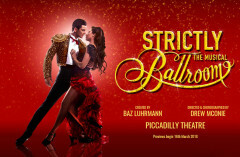 Now, Strictly Ballroom is coming to London as a full-length musical, dancing its way into the Piccadilly Theatre in March 2018 to replace the current production of Annie. We can’t wait! 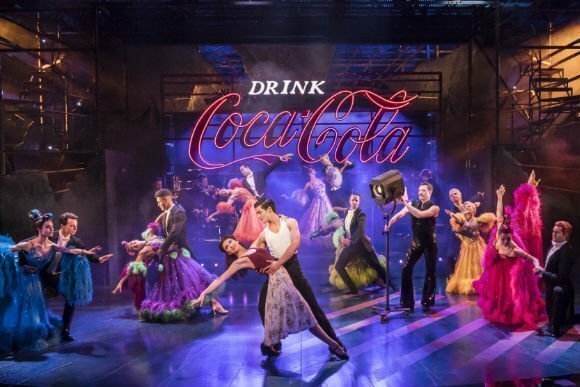 The original musical production has music and lyrics by both Luhrmann and Catherine Martin, with a book by Luhrmann and Craig Pearce. It was first presented in Luhrmann’s home town, Sydney, in April 2014 before embarking on a national tour for 18 months. 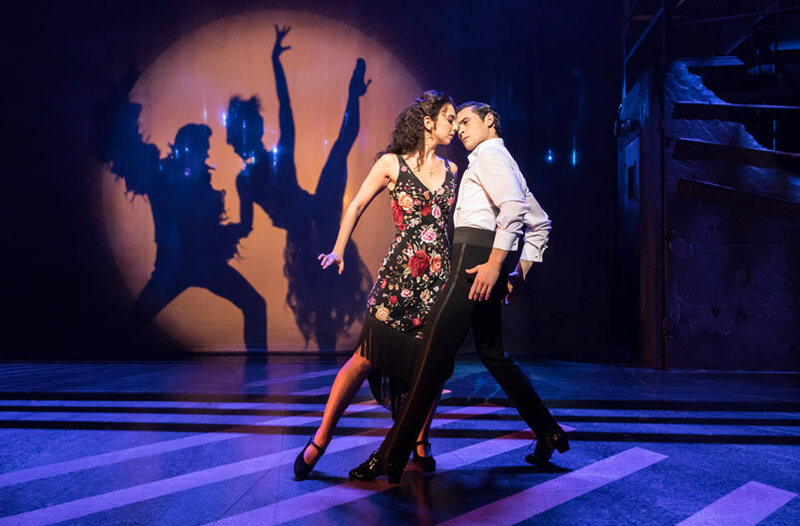 Strictly Ballroom, the story of professional ballroom dancer Scott Hastings and his attempts to shake up the form, is based loosely on Luhrmann’s experiences of growing up around ballroom dancing. Hastings loses the revered Pan-Pacific Grand Prix Dancing Championship when he incorporates non-standard moves into his routine and is forced to find a new partner. He secretly turns to frumpy beginner Fran, who helps him inject a new style into the dance and return triumphantly to the top of the competition tree. 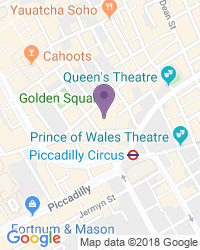 The glittery, sequined Strictly Ballroom comes back to the UK at the perfect time – the way is paved by dance musicals Burn The Floor (at the Shaftesbury Theatre) and The Last Tango (at the Phoenix Theatre) that have played in the West End over the last few years. Strictly Come Dancing is still one of the highest viewed programmes on TV today, even as it enters its fifteenth season. 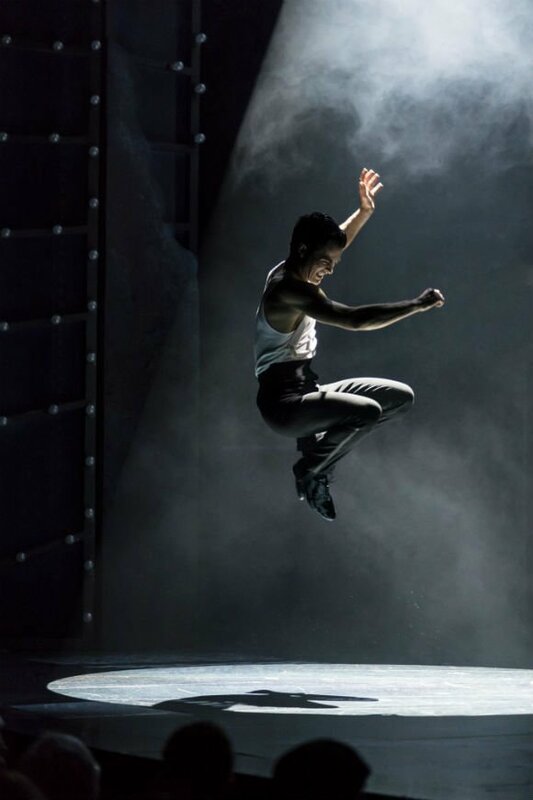 There is also a rich history of adapting dance-based films into musicals and vice versa, with classics like Dirty Dancing, Footloose and Fame treading the boards in the last decade. 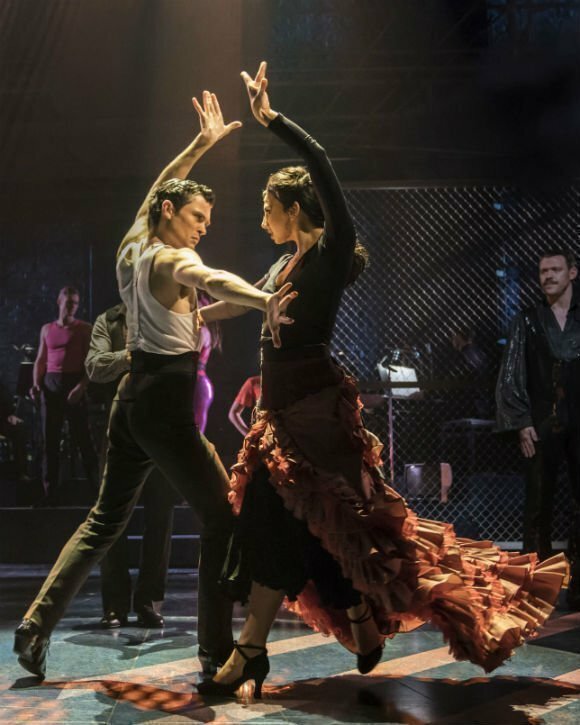 The current version of Strictly Ballroom received its UK premiere at the West Yorkshire Playhouse in November 2016 and will be directed and choreographed by Drew McOnie, an Olivier Award-winning choreographer for his work on In The Heights in 2016. McOnie was nominated for a further award this year for his production of Jesus Christ Superstar. With a slew of hits taken from the film, such as “Perhaps Perhaps Perhaps”, “Time After Time” and “Love Is In The Air”, as well as numbers from internationally acclaimed artists, the songs and routines promise to be earworms that you can’t get out of your head for days afterwards. Book your tickets now and get down to this dazzling show as a springtime treat! Some theatregoers were very loudly singing along, which we found annoying. The show itself, though, was fantastic, both for kid, teen and parent (who knows the film by heart). Absolutely brilliant! 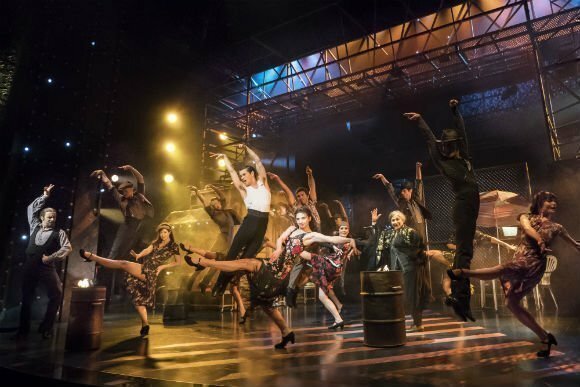 A real feel-good show with amazing dance routines and Matt Cardle was perfect in the role of Wally Strand. I would highly recommend it. Fantastic show great for everyone loads of laughs and the actors really got the audience involved. Fantastic from start to finish. Very true to the film. Costumes, acting and dancing were first class. Disappointed not to see Matt Cardle last night but it did not make the show any less enjoyable. I can’t believe this show is ending this month! Why??? enjoyed it very much but at time a bit noisy - some of the cast screamed out their lies at times which made them inaudible. Great humour, fantastic dancing, good music. The best show we saw whilst here. Loved the movie--and now the play! I sat in the stalls, off to the right side.It was a great seat, and I was able to see all the action on the stage. Very well done adaption and I am so glad I got to see it. Who doesn't love the story of strictly ballroom! They stick to the story, the acting is brilliant, there's lots of cheering should you wish to be a member of the audience that participates. The dancing and acting as brilliant as the sequins. Just a thoroughly great night. If you love good dancing this is a show for you! We though the whole show was superb. Matt Cardle as 'compare', story teller and singer was very very good. We liked the subtle links inviting the cast to sing their parts. The Passadoble routines by Fernando Mira were mesmerising. Overall, a fist class performance by everyone involved. We will be booking again. The only point that could be improved was the time taken to be served at the bar during the interval. Hopefully this was a one off. There were only 2 staff members present and, a number of people left the queue behind us without buying refreshments - a missed opportunity for the theatre! Feel good theatre at its best. Lots of laughs and sparkle, great dancing and fantastic singing. Would highly recommend! Had a fantastic time watching this show. Amazing actors/ actresses and so well cast. Great storyline, truly fantastic. Dazzling Performance 2nd time round! Amazing performance, Matt Cardle was superb! His voice really made the musical for me although all the cast were still ALL fantastic! 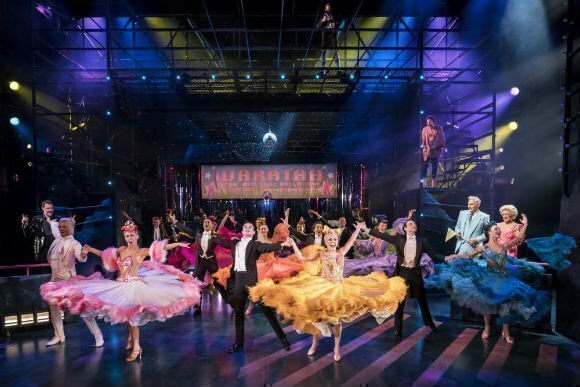 The story is absolutely dazzling with more sequins and laughs and heart steeling moments than I even remembered from the first time round earlier in the year. An all round a great night out! I’d see it again in a heartbeat! Having watched the film many years ago moe than once I was a little worried whether this could be as good. Needn’t have - if anything this is better than the film. All performances are brilliant and Matt Cardle was excellent. Thoroughly recommended. An excellent show which was very well acted, very humorous and the dancing amazing. A show we would see again. Fantastic show from start to finish. We loved everything about it. Love it! Everything was spectacular! Made an already great film into something more magical. Dancing was subperb, costume was splendid and it was even funnier than the movie! Fab fab fab! Lively , fun, great music and costumes ! The cast were excellent, dancing fabulous ! Will Young was so good as were all the lead parts . Such a fun uplifting Show , I would highly recommend. Loved the show. The dancing was amazing and I didn’t expect the humour or the excellent singing and music I just want to see it again ! Brilliant evening, sparkly, camp ,fun, all singing and dancing extravaganza. Thoroughly recommend it! I took My Friend for her Birthday and it was Brilliant...We’ve been to Shoes before but I would rate this 10/10...Will Young was Fantastic as were the Cast too...Definitely would recommend this Show. Just go see it. You’re gonna love it. Thought it disappointing at beginning but quickly improved. The costume and scenery changes were slick and effective. Music great. The acting by the mother and father in particular was great. Their characterisation was wonderful and they conveyed their thoughts and emotions very subtlly but effectively. The dancing was enjoyable and the athleticism and stamina of the dancers but particularly the leading man and lady was breath taking. No advice- just go and enjoy it. Amazing dancing. Basic story. Parents were the best bit. Didn't rate Will. If you're into dance, this is a must see! 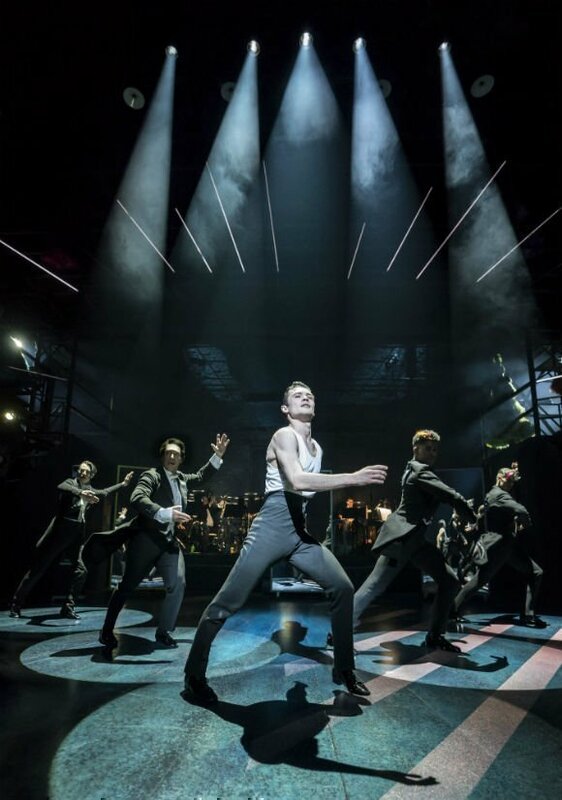 Brilliant dancers, both leads and ensemble work well together to put on a hell of a show. Absolutely loved the show,better than expected and was upgraded which was a nice surprise,would defiantly see it again. Great night out with parents! Smiled , clapped, sung along throughout the show! A feast for the eyes- costumes are fab. Really clever imaginative set. Amazing acting, dancing and costumes. Loved, loved, loved it! What a joy and a fest from the beginning until the end! We did not want it would stopped. We enjoyed every scene, every song, every dance, thank you, it is amazing! A fun show with amazing dancing! Had so much fun at Strictly Ballroom! That paso doble gets me everytime! To create a great musical, all the stars in the creative firmament have to align: all the artistic and technical departments in a collaborative art-form involving, perhaps, a hundred people, have to coalesce as one. 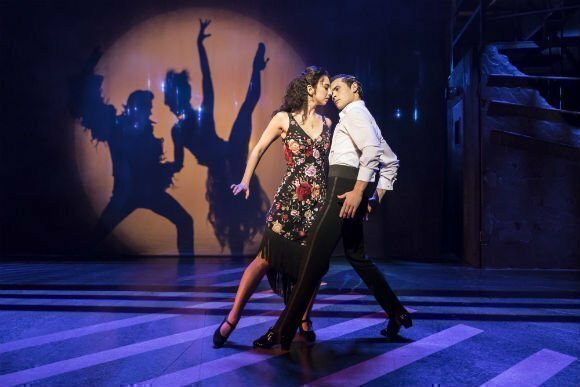 This they did at the Piccadilly Theatre on Tuesday night though, strictly speaking, Baz Luhrmann’s Strictly Ballroom The Musical is not a musical, it is a heavily disguised play with music. Excitement is building ahead of the West End premiere of Strictly Ballroom, the stage adaptation of Baz Lurman's feel good cult movie. Previews begin 29th March 2018 at the Piccadilly Theatre. The P.Rs are doing a great job of wetting our appetites by releasing some terrific images of the production in rehearsals. There's also an engaging video promo and you can find each on the show's Facebook page. 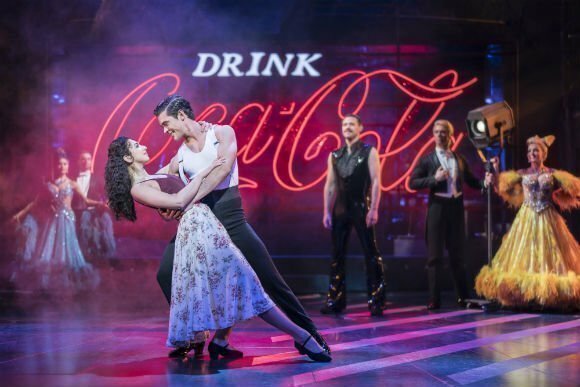 Ballroom Dancing fans and those who love a good Cinderella story will be delighted to hear that the stage version of much loved movie musical Strictly Ballroom is coming to the West End after it's National tour. 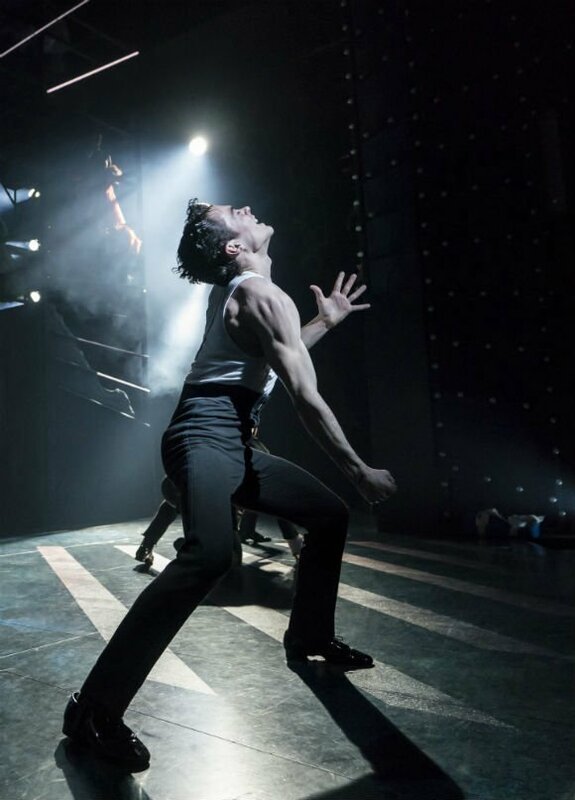 Use the search box at the top left of this page to search for Strictly Ballroom tickets availability.